When thinking about eliminating your debt (with debt consolidation, filing bankruptcy, debt negotiations, or any other means), it is important to take an accurate accounting of your total debt. Depending on your current financial situation, debt consolidation may be an effective way to become solvent, without filing for bankruptcy. If you can qualify for a loan from your local bank or credit union, taking out a loan big enough to pay all or a majority of your outstanding debts is probably the simplest way to consolidate your debt. A similar tactic, if you can qualify, is to transfer the balance of a high interest credit card to a credit card with a lower interest rate. If you have poor credit, you may not qualify for a loan or low interest credit card, you may have to use a consolidation service. 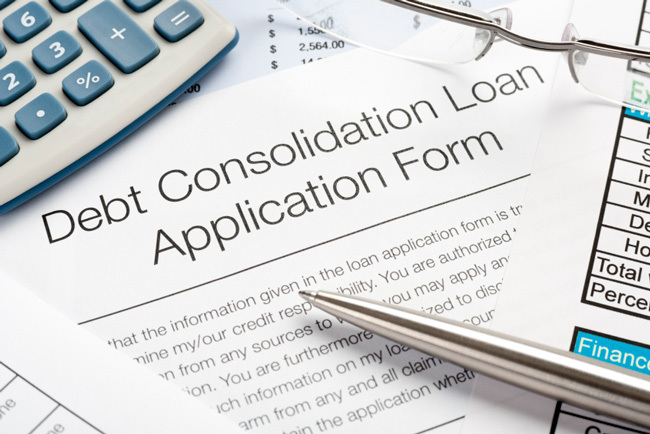 When applying for a debt consolidation loan it is important to note many financial advisers shy away from transferring unsecured debt to secure debt, so attempting to use home equity may not be the best option. If you do get approved, you risk losing the assets you used to secure the debt. If you applied for a debt consolidation loan and did not get a credit line to secure all debt owed, it’s critical that you focus on paying off your higher rate loans or higher balances first. Under this option, a company will typically have you make them monthly payments until you build up a large enough amount of money whereby the company can negotiate a reduction of your total debt for you. There are many scam artists who will simply take your monthly payments and never pay off or consolidate your debt. You need to be extremely careful when hiring someone who claims to help you consolidate your debt. In many instances, you may not be protected from collection activity from your creditors while you make monthly payments to the debt consolidation company. You will likely receive a form 1099-C form from your creditors even if you are successful in negotiating your debt and may incur substantially tax liability based on the amount of debt that has been written off. The attorneys at Ure Law Firm can help you determine the best approach to your financial situation and counsel you on the most appropriate options depending on your debt level. Their credit counseling service can assist you in evaluating your current financial situation and provide personalized strategies catered to your financial goals. Debt counseling can provide you with short term debt management programs, help with debt consolidation, and choosing the right programs to help you achieve financial stability. Consolidating your debt can quickly turn into a complex ordeal and if done incorrectly could end up costing you more per month, or more over the entire length of your new loan. Before you decide to pursue a debt consolidation strategy, you should contact one of the debt professionals at Ure Law Firm. This entry was posted in Bankruptcy Law, Bankruptcy News. Bookmark the permalink.